Image: Courtesy of the vendor. If you have been living under a rock then you might have escaped the Baby Shark phenomena (it currently has well over 2 BILLION views on YouTube). Well, if you think that you have already escaped this bandwagon and have gotten your sanity back, sorry to break it to you, but the Baby Shark Plushes are about to invade your holidays. 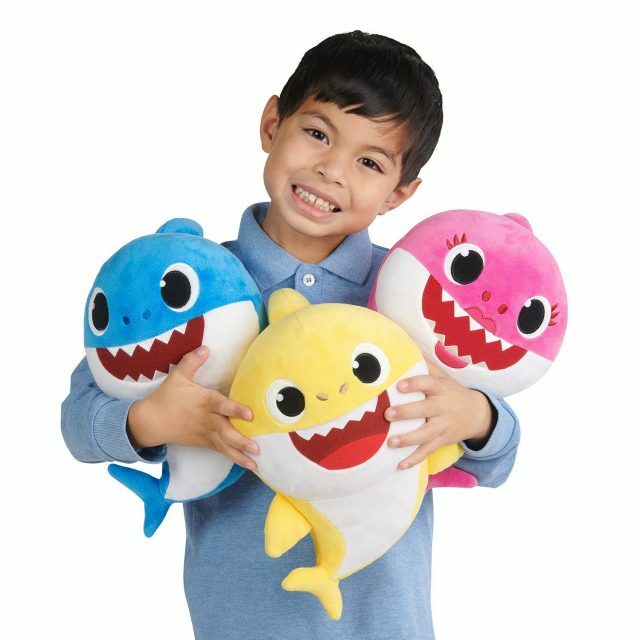 Manufactured by the popular toymaker Wowee, Amazon recently released an official line of Baby Shark plushes to satisfy our kids’ curiosity. In case you are not yet over singing “Baby Shark doo-doo-doo-doo-doo-doo”. Currently priced at $49.99 to $129.99, you can choose from the yellow baby shark, the pink mommy shark or the blue daddy shark and have it as the perfect gift for your child this Christmas. If you find the plush dolls pricey, then you can always go for the smaller Song Cube version. Both models are stacked with speakers and replaceable batteries. Just squeeze their bellies and presto, the baby shark family will immediately play the whole song for you. Initially released at $10 for the stackable ones and $17 for the cuddly plushes, the prices are increasing fast as the toys are becoming a hit this Christmas and have been selling like pancakes online. What are you waiting for? Grab one for your child before the shark family toy sells out and start enjoying the popular Pinkfong song with your kiddies.